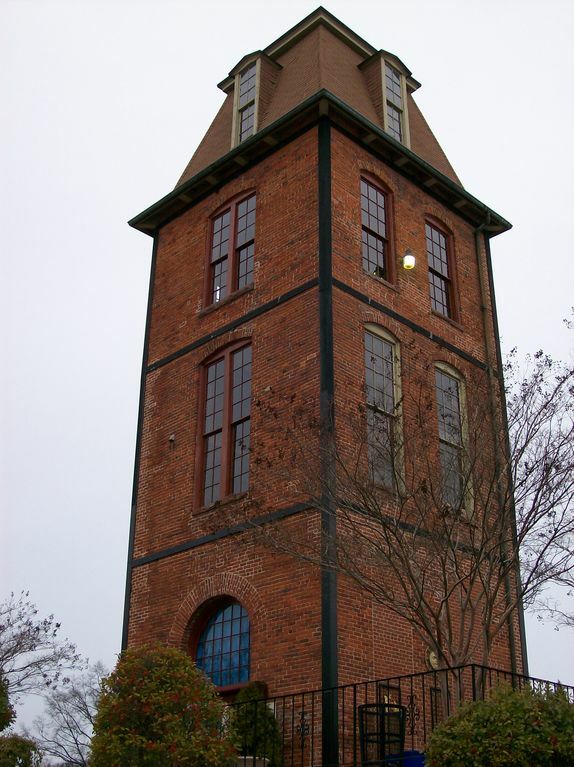 The Old Historical Duke Tower has been renamed but the Tower and chimney remain from 1868.The Unit is on the south side of a wonderful courtyard garden and you are 2 blocks north of main st and 3 long blocks from Duke University East Campus. 1 king bedroom unit in the Duke Tower condotel complex in downtown Durham with large courtyard and garden that features giant chess game & shuffleboard ! Access to a large pool. All utilities included with Wifi and Internet access..Coin operated laundryroom is at one end of complex . ACCESS INSTRUCTIONS : When you arrive at gate entrance, you will see an intercom . A) Press 141 to contact host for him to unlock gate remotely. B) Go across courtyard, past pool toward Old Mill Tower and find unit 141. Once you have reserved unit, a lockbox code wll be made available. C) Enter unit to find keys and a parking clicker on kitchen bar. clicker allows you to bring your vehicle to parking gate at the extreme left of our building and enter lot behind complex. D) A fob is also attached and gets you inside Pearl Mill Flats and the laundry room located all the way to the right of unit pass pool, turn right, before last door on left. Please call me directly on cell if you encounter any problem. Walking distance to the bars and restaurants downtown and easy to get around town from there. Nice place. Great location accessible to what we wanted to see in the triangle area. Cozy & efficient layout. Property has all the basics, a comfortable bed, hot shower and a swimming pool to boot. Owner was available to answer our questions and made us feel very welcome during our stay. The place was gated in that made me feel more secure. Didn't spend very much time in the condo because my husband ended up the hospital most of the time we were there .The bed was very comfortable. Thankful laundry was in the facility . Plenty machines didn't take long to do laundry.Enjoyed the condo the little time I spent in there. At the risk of not being able to book this place the next time we come to town---I have to say it was ideal for all our needs. Full-size studio apartment with all the amenities well thought out---good sized closet spaces with extra blankets, towels, and pillows, cupboards full of spices, salt, pepper, oils, coffee. It has the feel of an extended stay hotel. AND the courtyard is beautiful. Our host Luca was very communicative and responded immediately when we had questions.